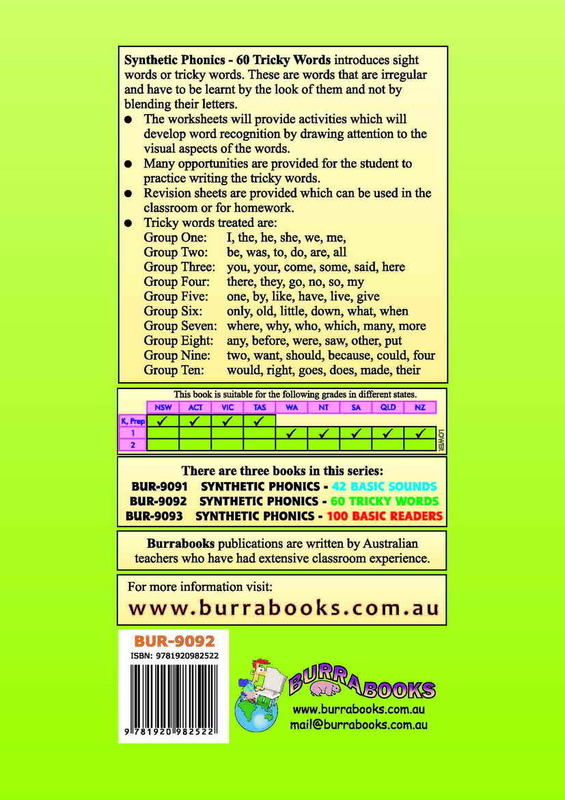 Synthetic Phonics is a method of teaching reading and writing. 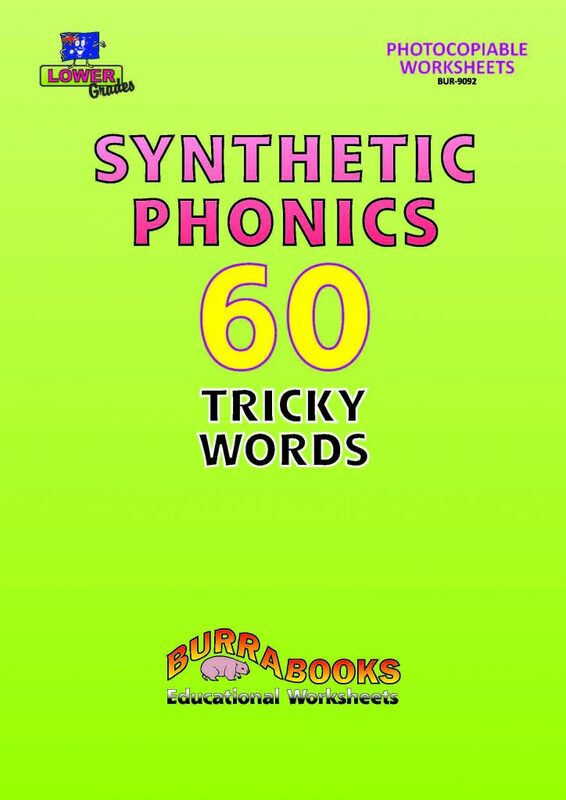 Synthetic Phonics – 60 Tricky Words introduces sight words or tricky words that have to be learnt by the look of them and not by blending their letters. These words are irregular and do not fit any learned pattern. 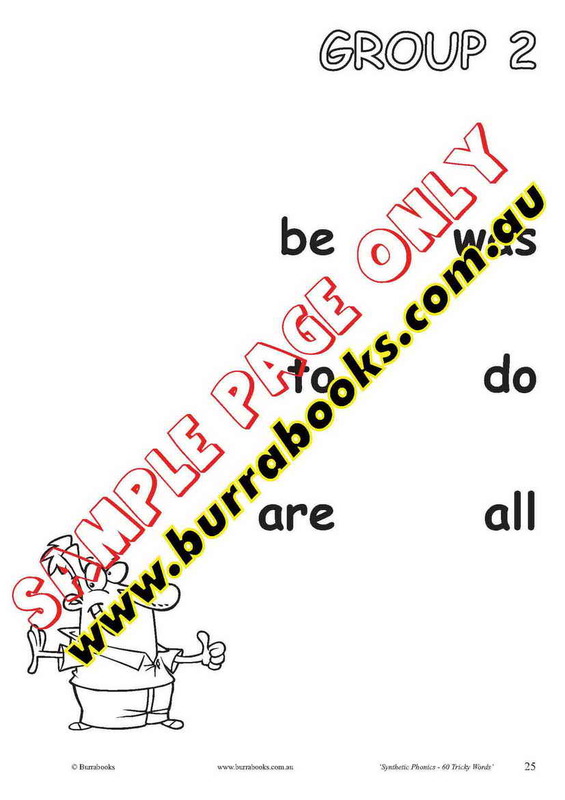 Although some parts of the tricky words will be regular e.g. in the tricky word ‘some’ the ‘s’ and ‘m’ are regular. 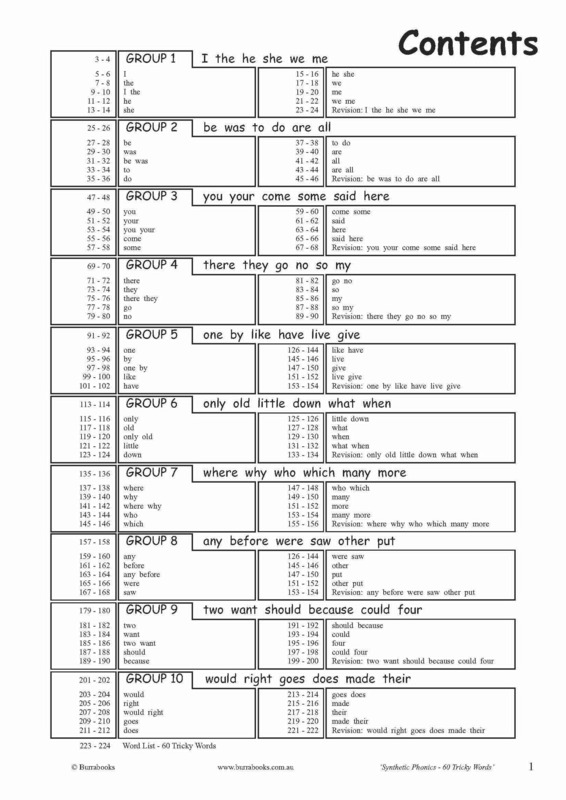 The tricky words can begin to be introduced after the third or fourth groups of basic sounds have been taught. These tricky words can be taught at a rate of two per week with plenty of opportunities for revision, they can also be written onto flash cards and practiced during spare moments in the classroom or written on shapes and placed about the room to provide visual reinforcement. 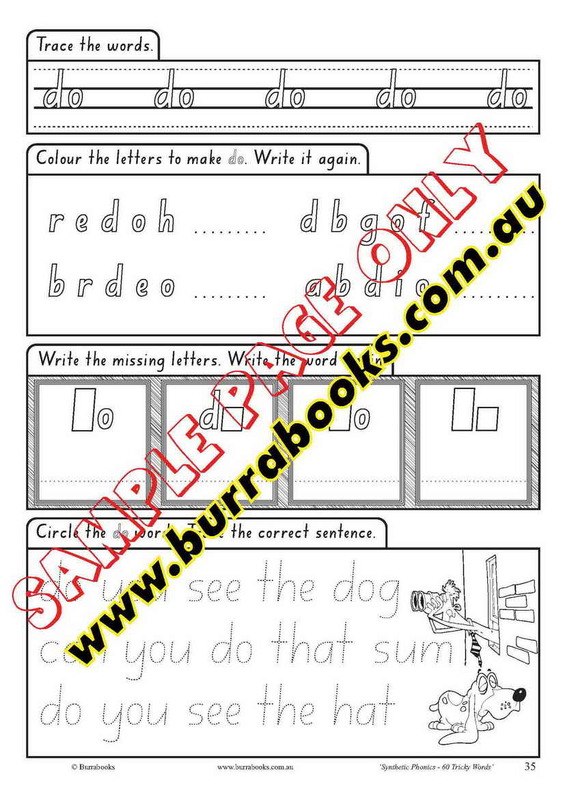 The worksheets provided can be completed in class or used as homework sheets. 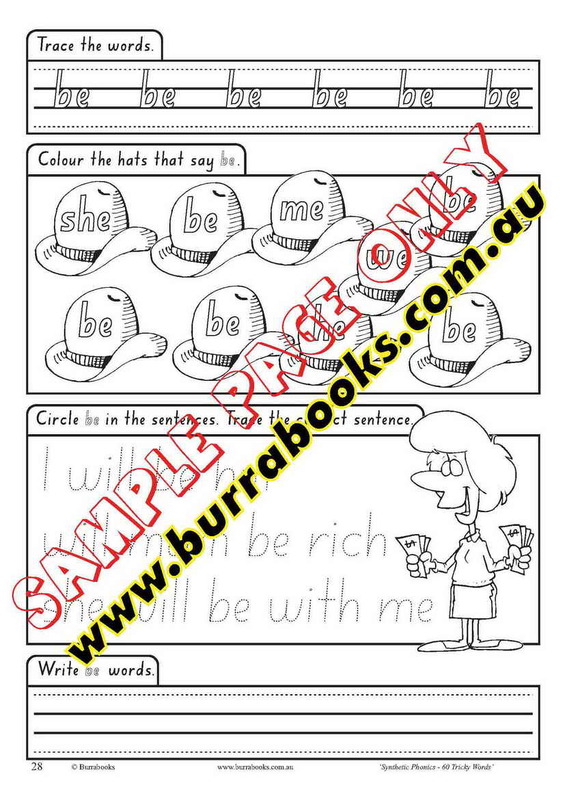 These activities will develop recognition by drawing attention to the visual aspects of the words. They also provide many opportunities for the student to practice writing the tricky words. The recognition of tricky words can help students in developing a link between knownwords and unknown words in reading situations. This will enable them to experience success and develop confidence in the early stages of learning to read. 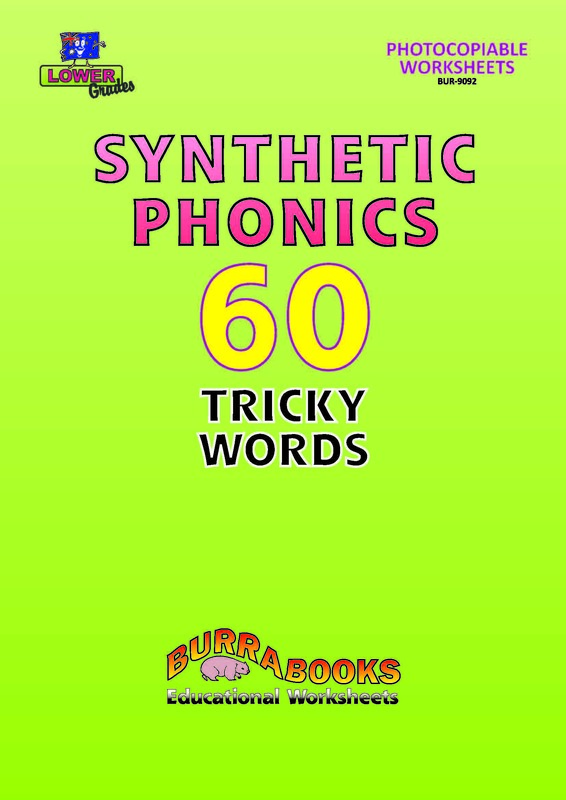 Synthetic Phonics – 60 Tricky Words introduces sight words or tricky words. These are words that are irregular and have to be learnt by the look of them and not by blending their letters. 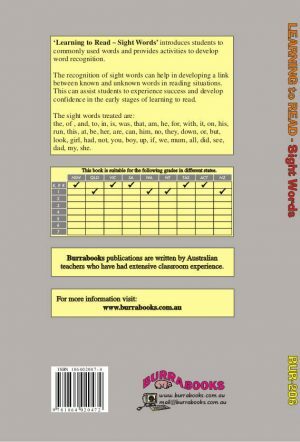 The worksheets will provide activities which will develop word recognition by drawing attention to the visual aspects of the words. Many opportunities are provided for the student to practice writing the tricky words. Revision sheets are provided which can be used in the classroom or for homework.